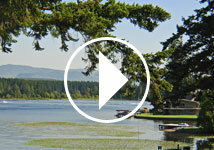 Lake Easton RV Resort is located in the middle of the state of Washington, on the eastern ridge of the Cascade Mountain range. It is 2100 feet above sea level. Four area lakes offer fishing and water skiing during the summer months. This area is a hikers dream. The Yakima River is just a short walking distance and offers the best catch and release fly-fishing in the state of Washington. Winter activities include groomed cross country skiing and snowmobiling trails accessible from the resort. Night and downhill skiing is 15 freeway miles away. Other interesting activities include the old mining towns of Cle Elum and Roslyn, for the history buffs and for the wine enthusiasts the Yakima Valley , both are just a short drive away. 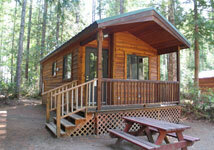 The Bavarian town of Leavenworth and the Yakima Valley wine country are a short drive away.